The second major change is that the terrain is no longer a flat green colour due to the introduction of a sand / dirt colour. 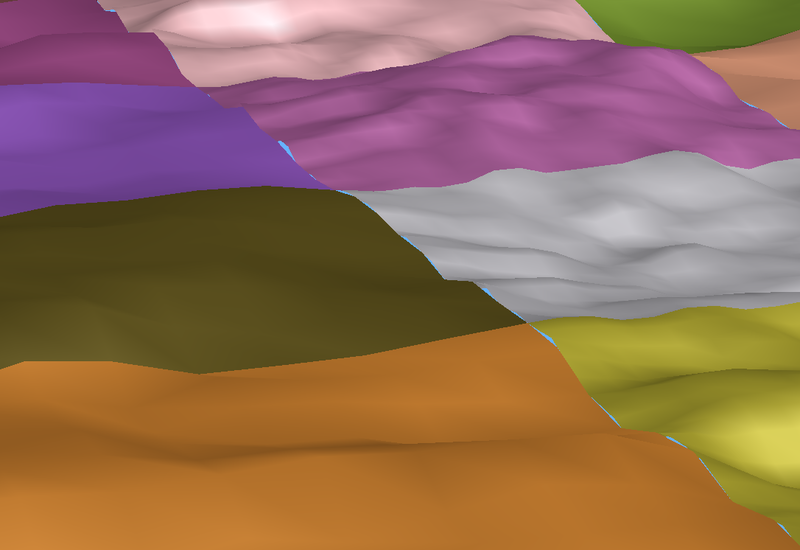 This colour value is based on the height of the terrain, when the terrain falls below a certain constant height it smoothly transitions into a yellow colour. I will most likely expand on this further in the future to include other terrain types, such as cliffs which would most likely be based on the gradient of a surface, rather than the height. 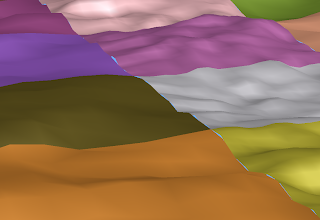 The final change is a much larger section of terrain is now being rendered. 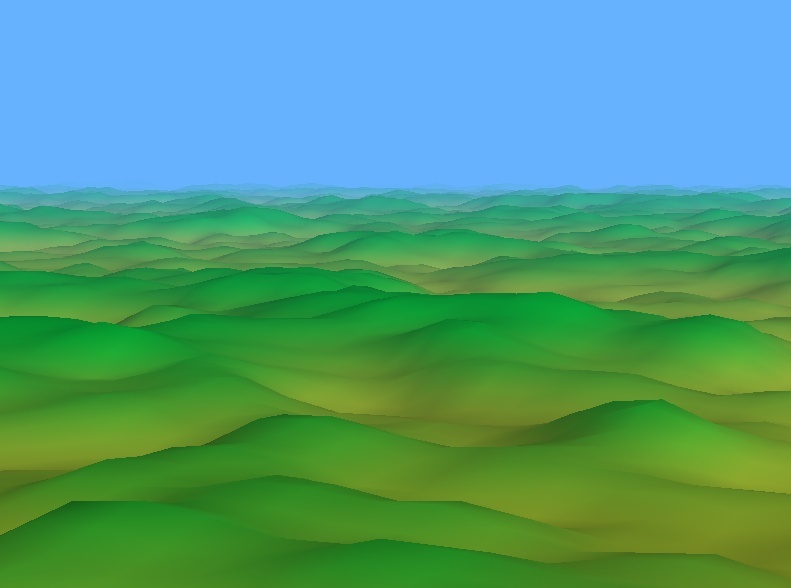 I have updated the terrain rendering so that it can now render arbitrary numbers of terrain sections. 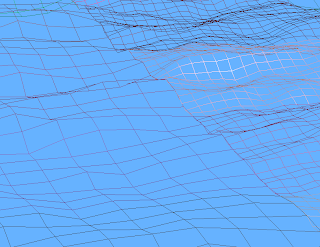 Splitting the terrain into discrete sections will be useful later on when I make the terrain be created dynamically as the user moves around the world. 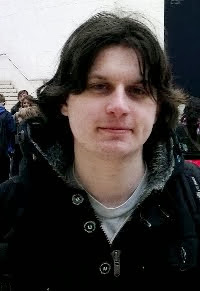 The aim is to be able to dynamically generate new terrain to the world as the user moves around, while also being able to remove terrain that is no longer in draw distance from memory. Different terrain segments are shown here as different colours. The terrain segments on the left have a lower level of detail compared to the ones on the right. Once I get around to implementing this dynamic level of detail, I will probably have to do something about the seams as the sections do not quite line up perfectly. This could be done by having the more detailed section be adjusted to the neighbouring quads of the less detailed section, which would then make the transition between different levels of detail completly seamless. 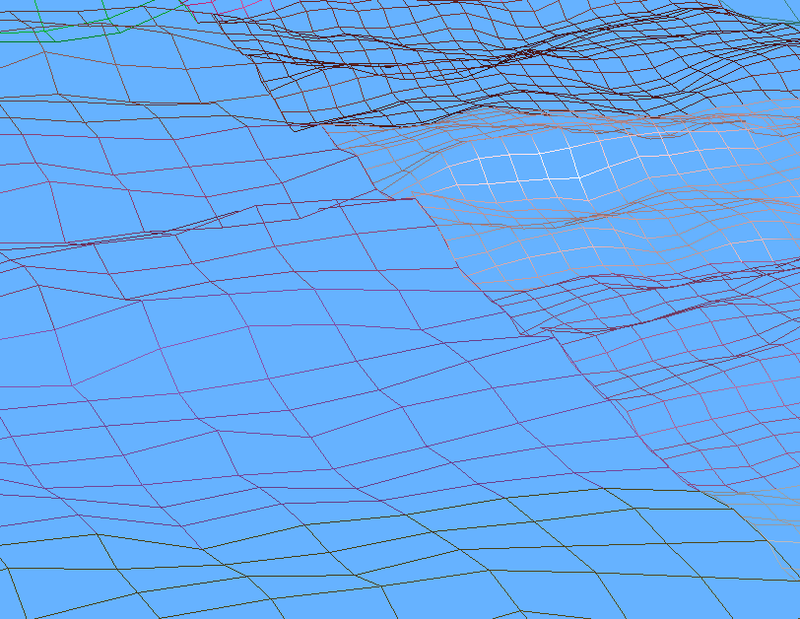 The same scene as above but in rendered with wire frame. It is easier to see the difference in the number of polygons. 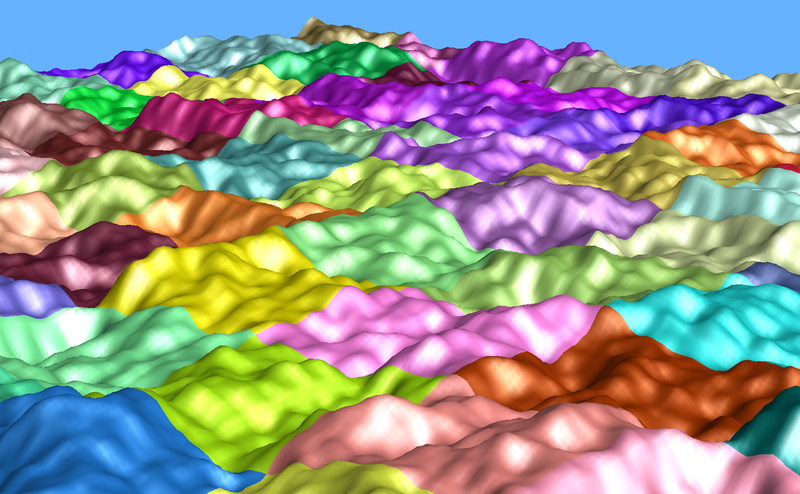 Pretty good progress today, hoping to get dynamic generation of new terrain segments working soon. Then I will hopefully be able to fly forever!